The defense was so good that the offense barely played. That is a good problem to have, by the way. The Columbia River Chieftains opened the season with a 49-0 victory at Centralia. Coach Christian Swain said his offense only had around 40 plays because the field position was so good. River’s defense gave up two first downs all night. “I’ve been trying to tell people, defensively, we’re pretty solid,” Swain said. And special teams, too. There was a blocked punt. Plus a couple of forced turnovers. With not much yardage to gain, the scoring drives were short and sweet. 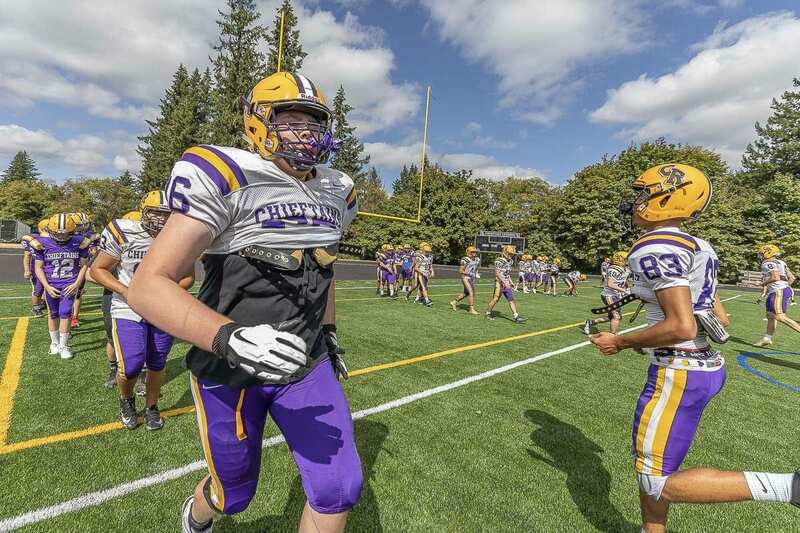 Columbia River is using a two-quarterback system, with Dawson Lieurance and Matthew Asplund. Kanen Eaton had four catches, totalling more than 100 yards, plus two touchdowns. Swain believes it should have been three scores. He was ruled out of bounds but Swain thinks Eaton was in the end zone first. Oh well. Isaac Bibb-O’Neil had three rushing touchdowns. On defense, it was the Logan Wilson show. All over the field with nine tackles, including five for loss. Three were quarterback sacks. Overall, a solid season debut, the coach said. Next is the neighborhood rivalry game. Skyview is coming to Columbia River on Friday night. It is a special night for the Chieftains, too, as they play their first home game on the new field. No more grass at the stadium. The Chieftains are also looking at surprising their rivals. Skyview has had the best of River in recent years.